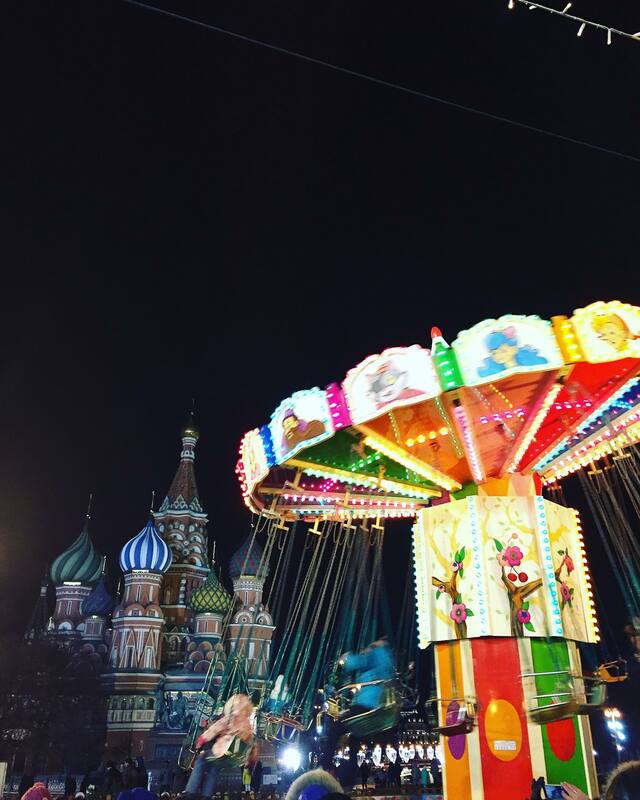 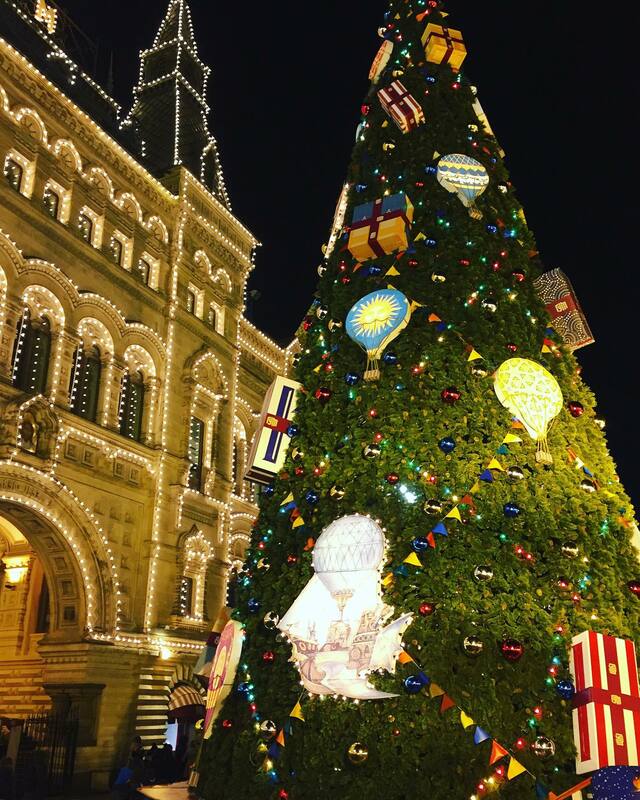 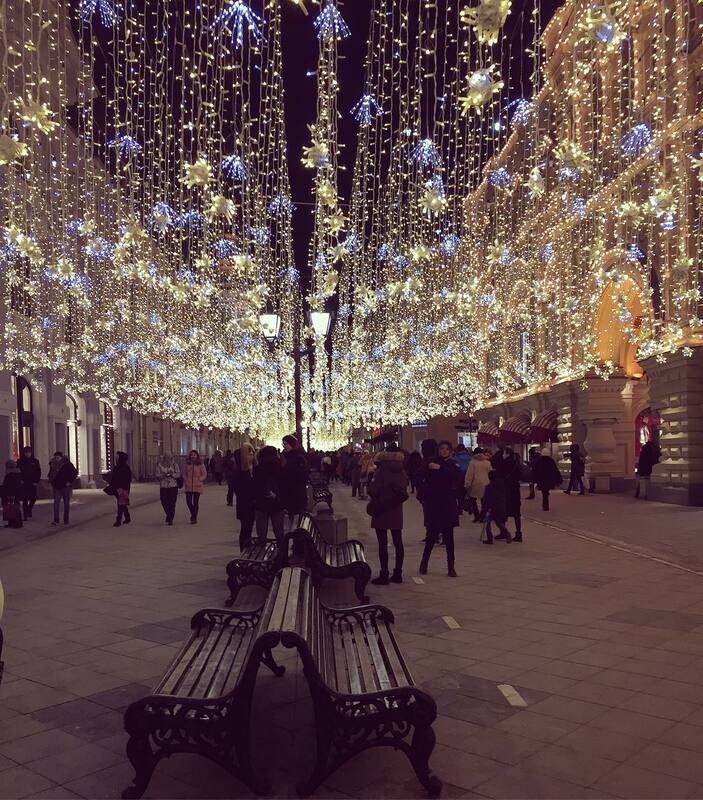 The Christmas and New Year’s holiday period in Russia lasts from December 31st to the 9th of January. 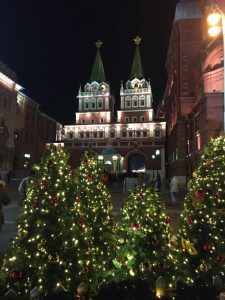 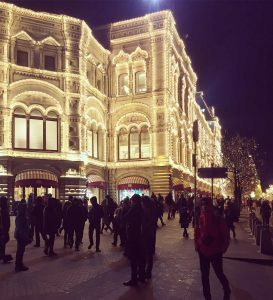 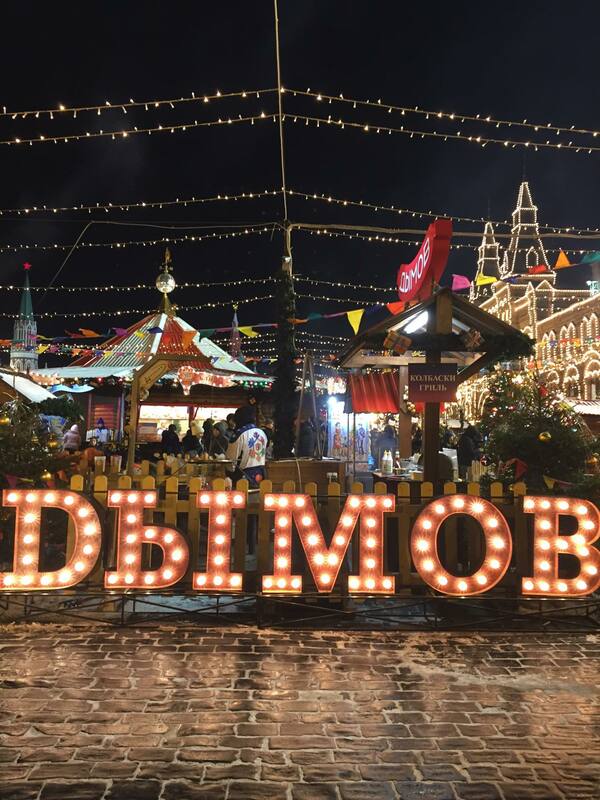 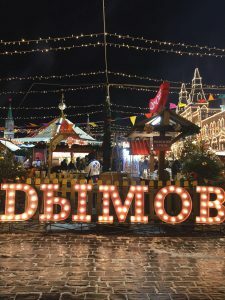 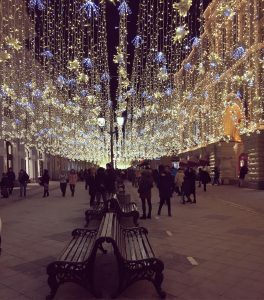 Red Square, outside the Kremlin, next to the GUM department store, is traditionally in festive decorations with lots to do for old and young alike! 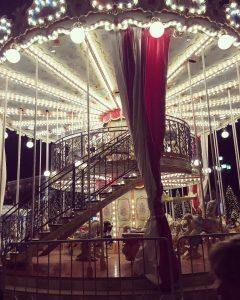 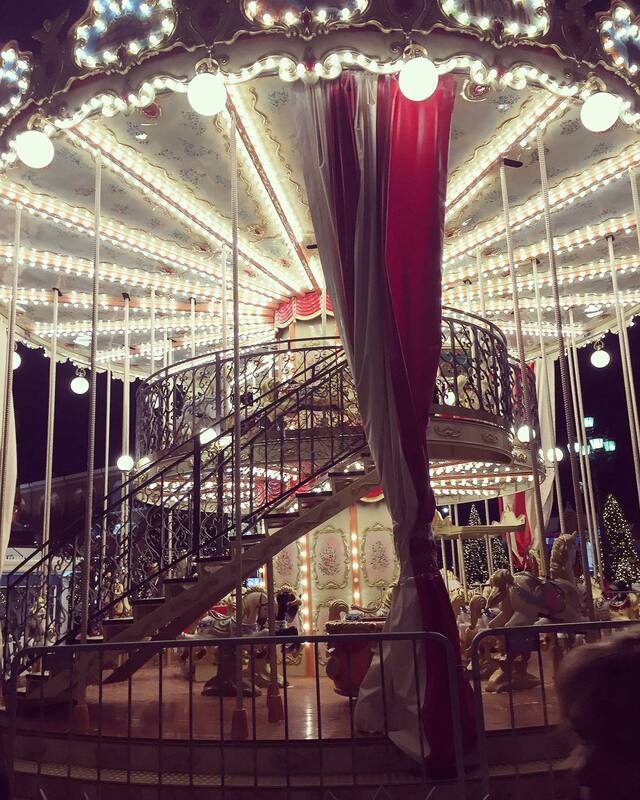 Ice skating, markets, and rides are all available.